This is first time in a decade that Queen Elizabeth II has been hospitalized at the London's King Edward VII Hospital on Sunday, March 3, 2013, according to report by Huffington Post site. Britain's Queen Elizabeth II was hospitalized because of the stomach infection that has ailed her for days. According to Buckingham Palace, Queen Elizabeth II had experienced symptoms of gastroenteritis and now under observation in the hospital. The Queen need to cancel her visit to Rome and other engagements for her fast recovery. Palace said in a statement, "As a precaution, all official engagements for this week will regrettably be either postponed or cancelled." According to Huffington Post, "The symptoms of gastroenteritis – vomiting and diarrhea – usually pass after one or two days, although they can be more severe in older or otherwise vulnerable people." While according to Britain's National Health Service that the two most common causes of gastroenteritis in adults are food poisoning and the norovirus. 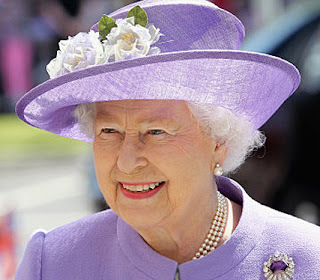 Comments or suggestions about "Queen Elizabeth II hospitalized due to stomach infection" is important to us, you may share it by using the comment box below.